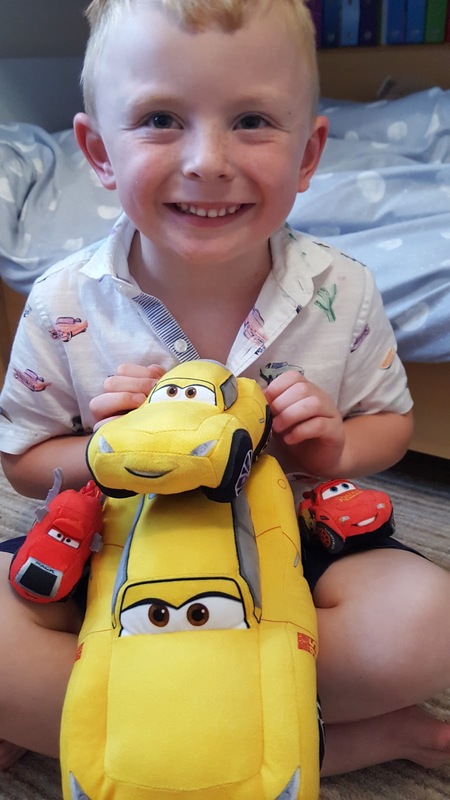 One of the biggest films to hit the cinemas this summer is Cars 3 - Elliot has been watching the trailers on You tube for months and he's really excited to go to the cinema and see it! 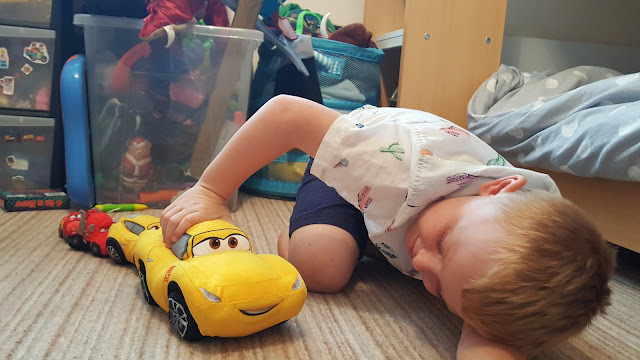 Posh Paws, the UK's leading plush toy manufacturer, have recently launched a brand new range of Cars 3 soft toys which will sure to appeal to the younger fans. Characters available are Lightning McQueen, Mater, Cruz Ramirez, Jackson Storm, Guido and Mack. There is a selection of sizes including 8", 10" and 20" and you can even get bag clips which feature in the pocket money range. 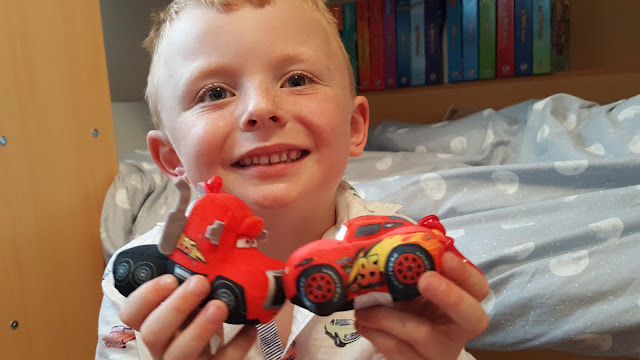 We were sent a large Cruz, smaller Cruz and two of the bag clips; Lightning McQueen and Mack. The first thing I noticed was the quality of the toys - they are lovely and soft and don't feel scratchy like some cheaper soft toys. They have great detail, even the smaller ones and I love how colourful they are. Elliot has had loads of fun playing with his cars - big Cruz has been racing against little Cruz! It's nice that Erin can get involved too - the little Cruz is just the right size for her little hands. Elliot is really taken with the bag clips and is going to be clipping one on his new school bag in September! The toys were a big hit and I'm pretty sure at least one of them will be coming along to the cinema when we finally get to see Cars 3! The Posh Paws plush range is priced between £5.99-£19.99 and available from Debenhams, Sainsbury's, Shop Direct Gamestop, Next Retail and Independent retailers.